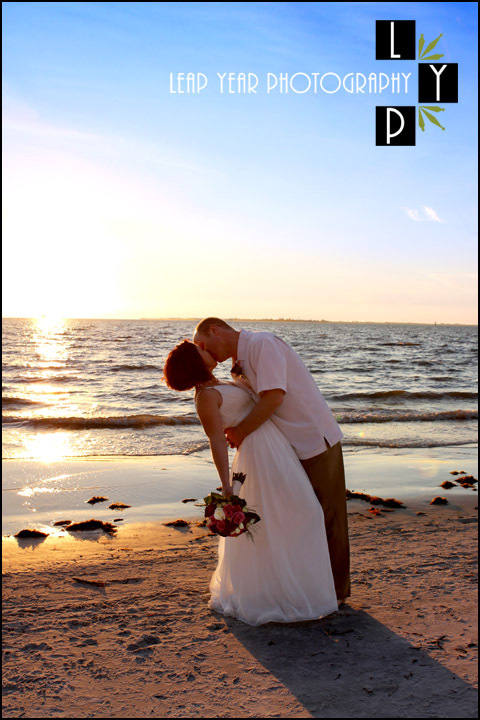 DiamondHead Beach Resort Wedding Photography on Ft Myers Beach! One of the great things about being a Fort Myers area photographer is that you can photograph destination weddings, as we’ve done, for years and still come across a venue that you’ve not been to before. 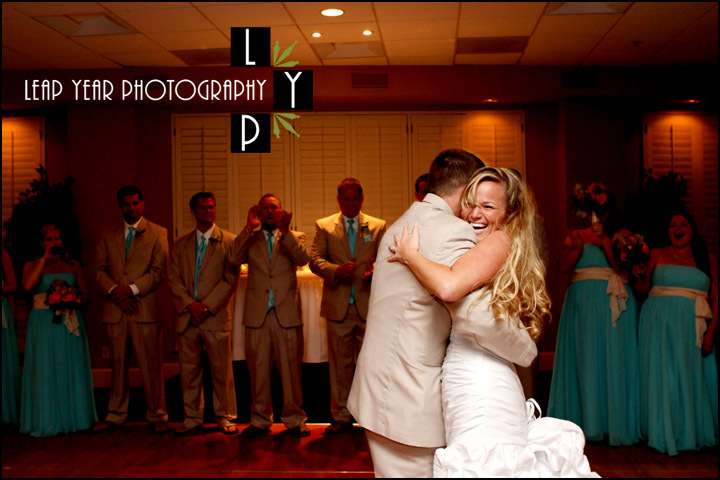 This was the case in photographing Katie and Michael’s wedding at the DiamondHead Beach Resort. Fort Myers Beach is a great place for a wedding, but it’s also a place where MANY people come to relax in the sun and enjoy local attractions. Having your destination wedding at a South Florida beach resort makes it easy for your guests to enjoy your special day without the worry of finding parking or getting towed. Also, once the wedding festivities wind down, it’s nice to know that the only ride your guests will take is on the elevator, up to their room. The DiamondHead Beach Resort is located at 2000 Estero Boulevard, Fort Myers Beach, Florida. 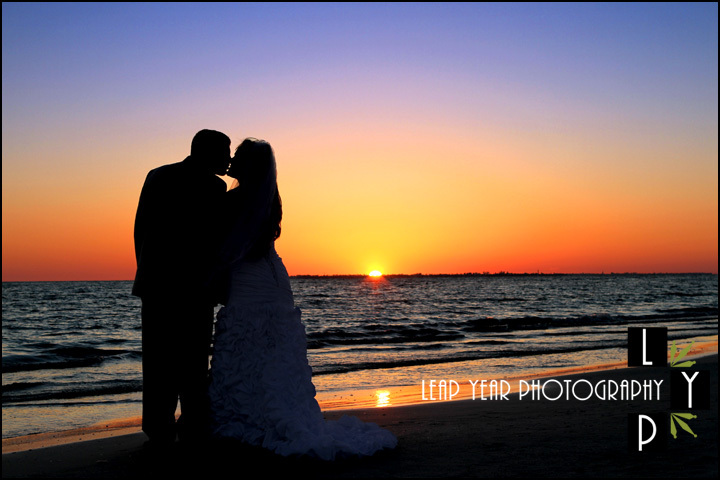 Wedding photos with a Florida sunset to remember! Wedding Photographers shooting at South Seas Resort on Captiva Island, Florida can expect only one thing in common between the various weddings they photograph — it’s, more than likely, going to be a destination wedding. This is where the commonality ends. 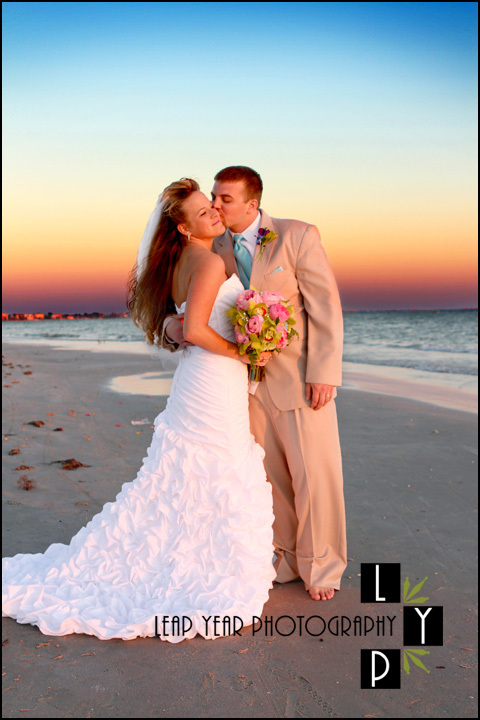 South Seas Resort weddings can be large formal events at the Captiva Ballroom, President’s Room, or the Sea Pearl Room next to the Butterfly Garden, or an intimate ceremony on Sunset Beach or King’s Crown Lawn. 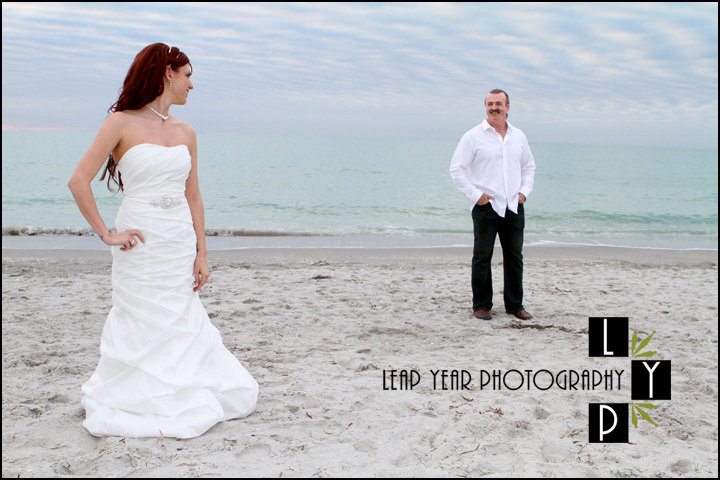 Another fantastic Captiva Island destination wedding location is ‘Tween Waters, where we’ve photographed many times. 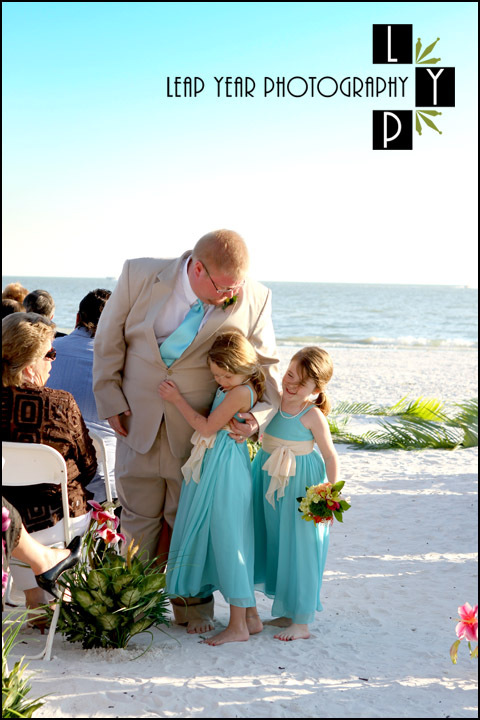 Our Bride and Groom, Tamra and Steve, choose a small wedding ceremony near Sunset Beach on Captiva Island. While we could not see the sunset on this particular evening, the stunning Altocumulus Billow clouds made for a great photographic back drop. Yes, I did look up the type of cloud!! 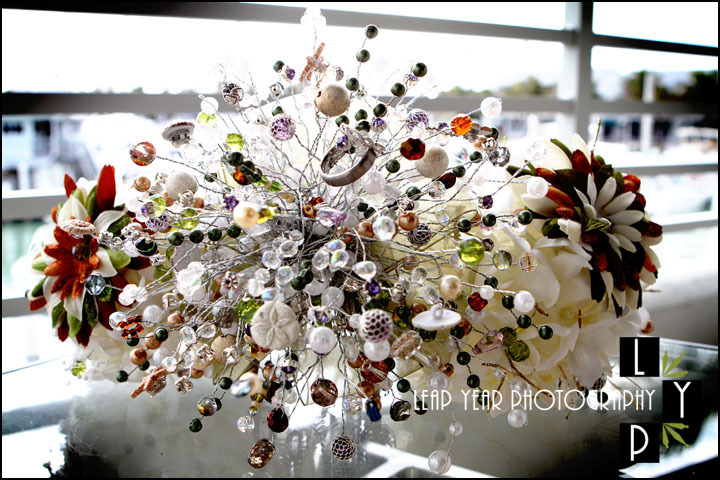 If you are looking for a unique wedding idea, check out the photo of this Bride’s non-traditional, bead bouquet as an alternative to traditional flowers. 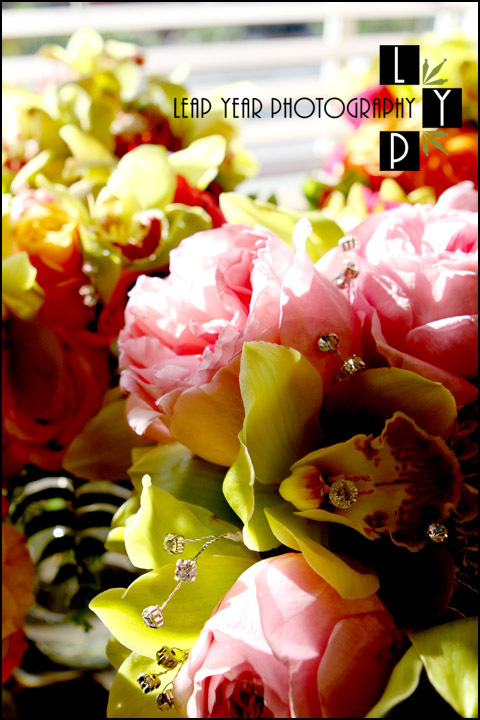 This bouquet, like the wedding photos, will last forever. 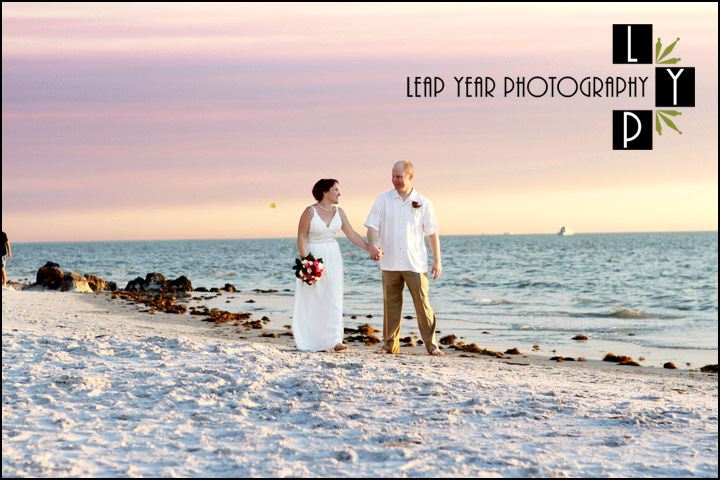 With Leap Year Photography it’s easy to get professional Captiva Island Wedding photography at great rates. 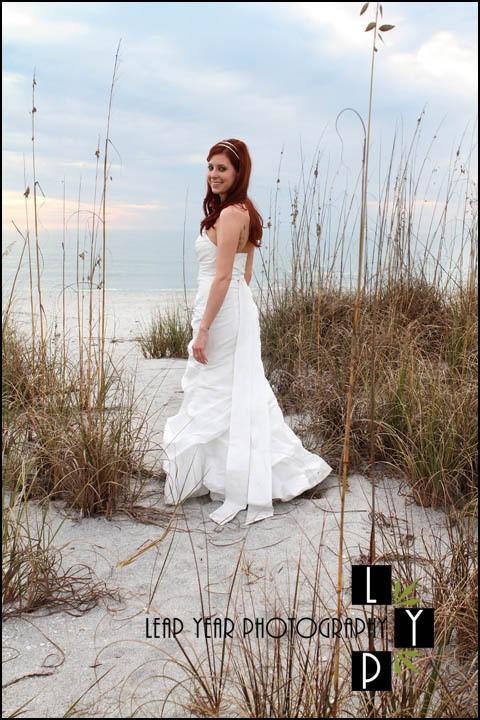 Contact Captiva photographer Erin Wilson now to discuss your wedding needs. 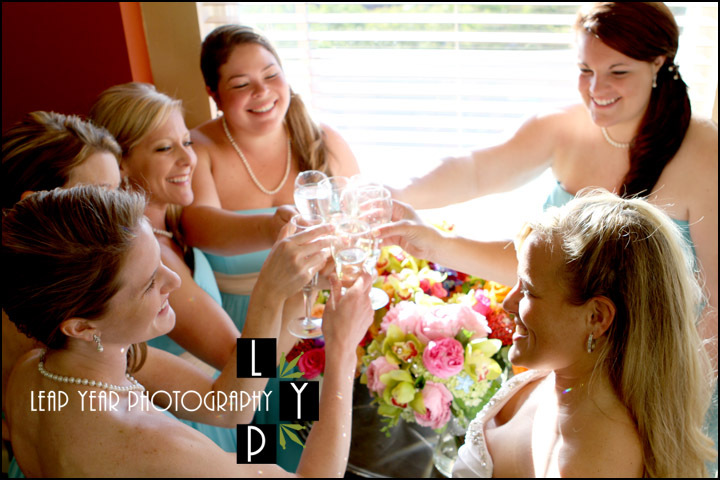 Get in touch with your Captiva Wedding Photographers! And God said, “Let there be light,” and there was light. 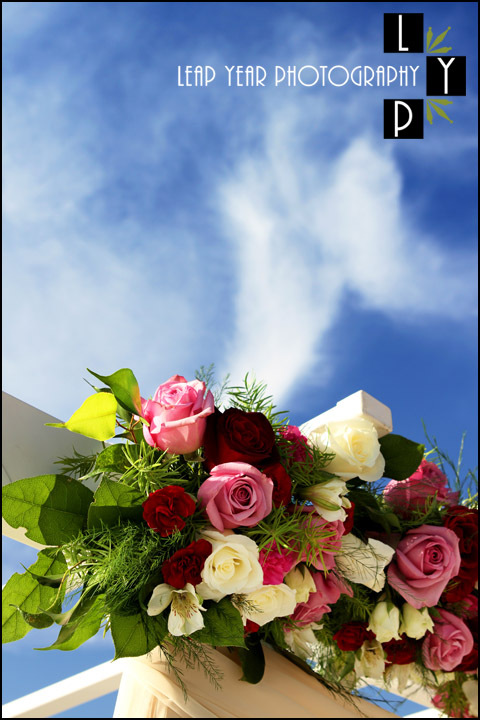 God saw that the light was good… As South Florida Wedding Photographer much of our photography is dependent on good light. Certainly photographers can add light with a flash, but nothing can compare to when we receive a sunset that gives us a glimpse of what it must have looked like on the first day. 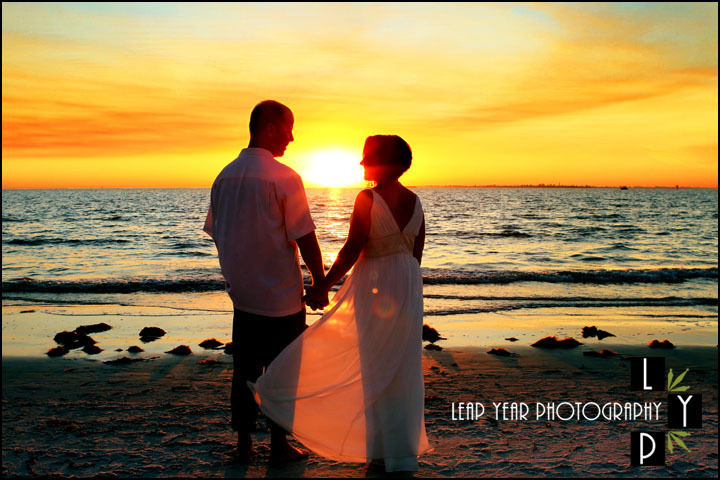 While Florida does have great sunshine, it’s not too frequently that the clouds and the sun are as amazing as it was for Lisa and Matt’s destination wedding photos at the Pink Shell Resort on Fort Myers beach. 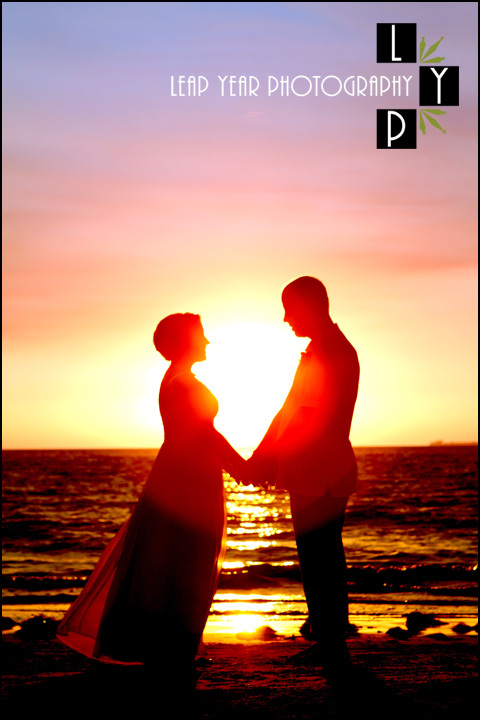 Work out with your photographer the timing of your wedding ceremony so that your vows are complete at least one hour before sunset. 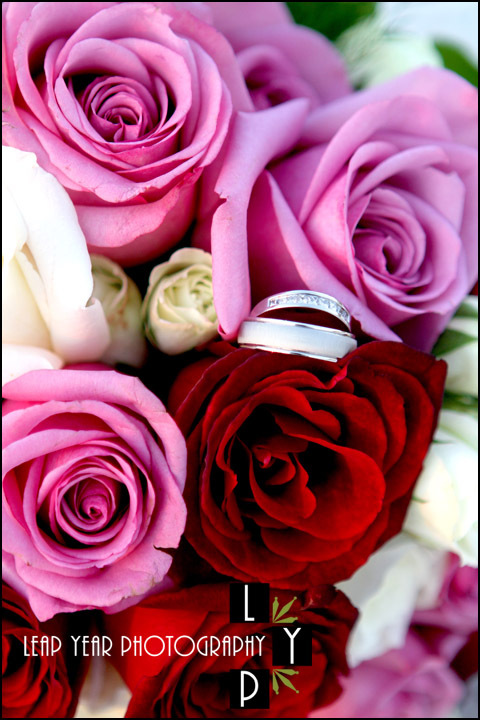 During your wedding rehearsal identify someone who can guide family and friends to your reception as quickly as possible. This way, the bride and groom can focus on each other and your photographer can focus on capturing great moments in the best light of the day. 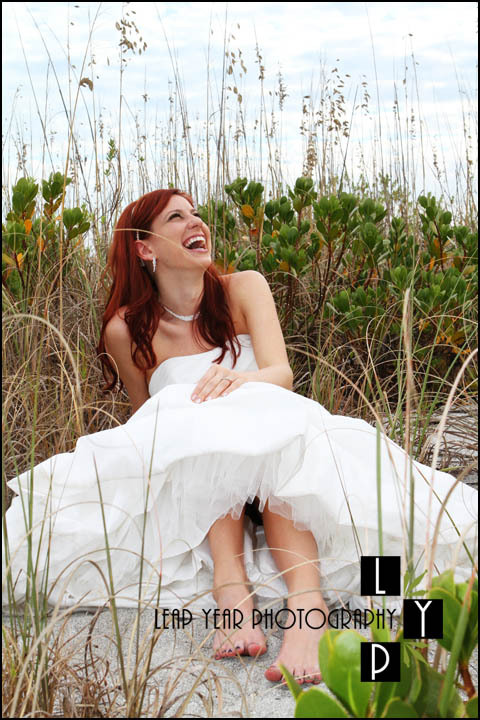 Is South Florida Wedding photography in your future? 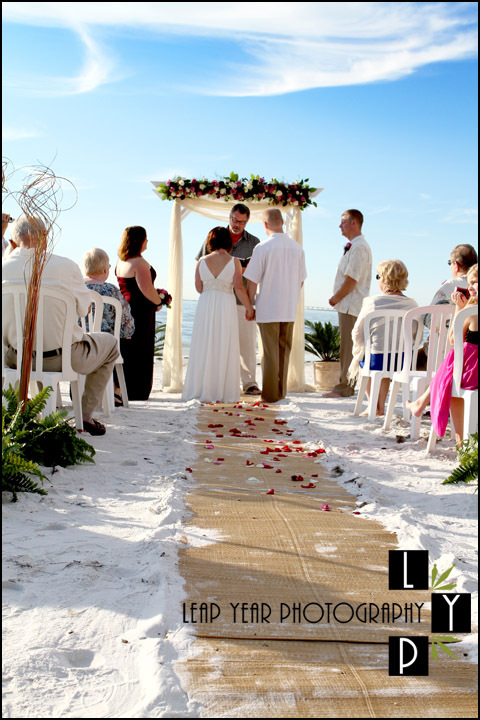 Will your wedding be on Fort Myers Beach or the Pink Shell Resort? 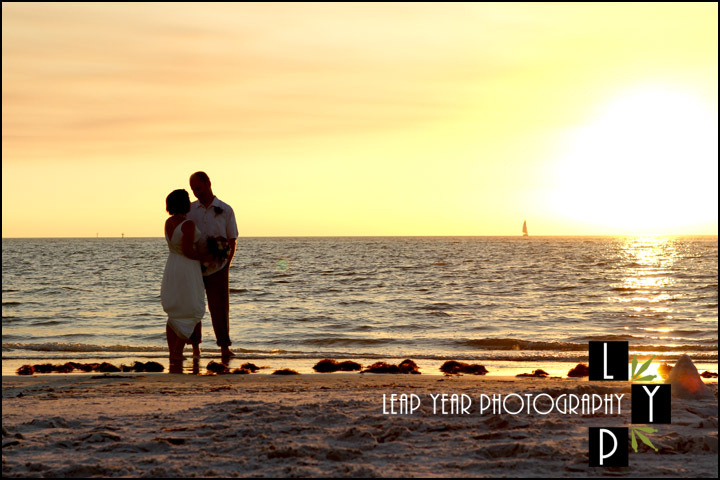 If so, contact South Florida Wedding Photographer Erin Wilson of Leap Year Photography to capture your day in the light! 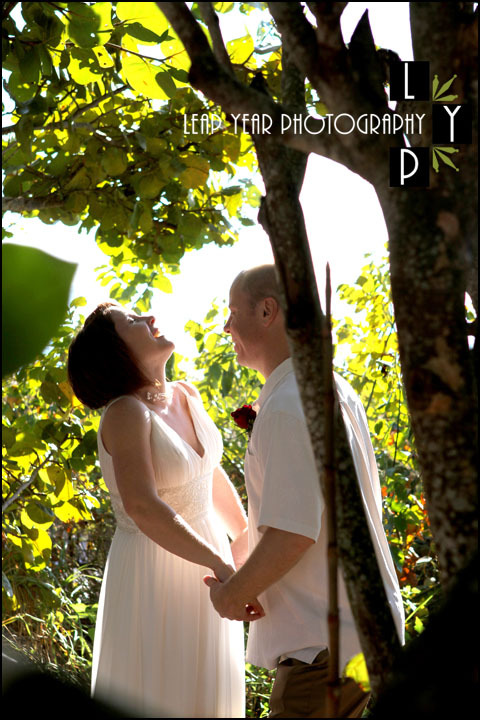 Erin has been providing professional photography in South Florida for years. 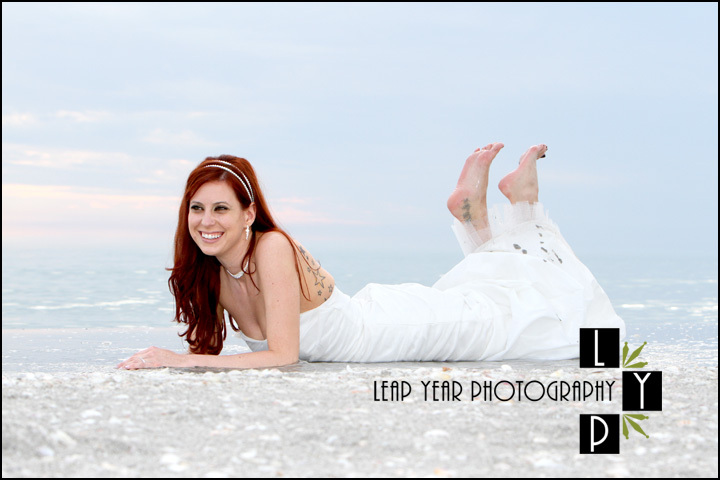 Leap Year Photography is located at 4600 Summerlin Rd Suite C2 #580, Fort Myers, Florida 33919. Being South Florida Photographers, it’s no surprise that this Rock the Frock A.K.A. 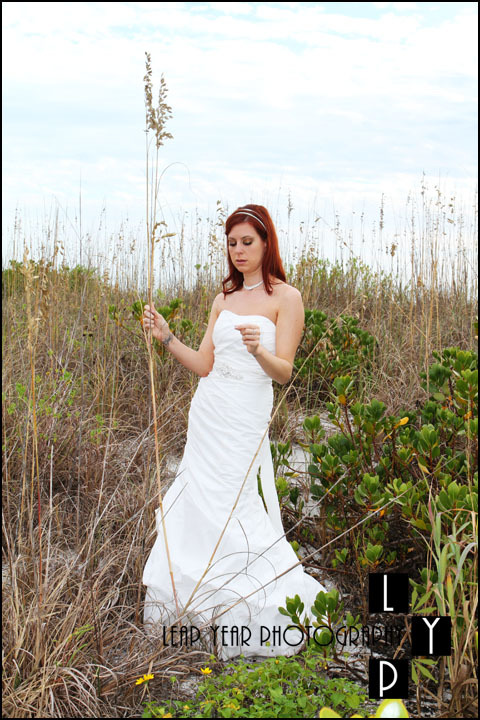 Trash the Dress (TTD) photo shoot is at the beach. However, when looking for Trash the Dress ideas and inspiration I found the real question most of your are thinking is will the dress actually get trashed? Here in Southwest Florida, this type of photography is still somewhat of an unknown. 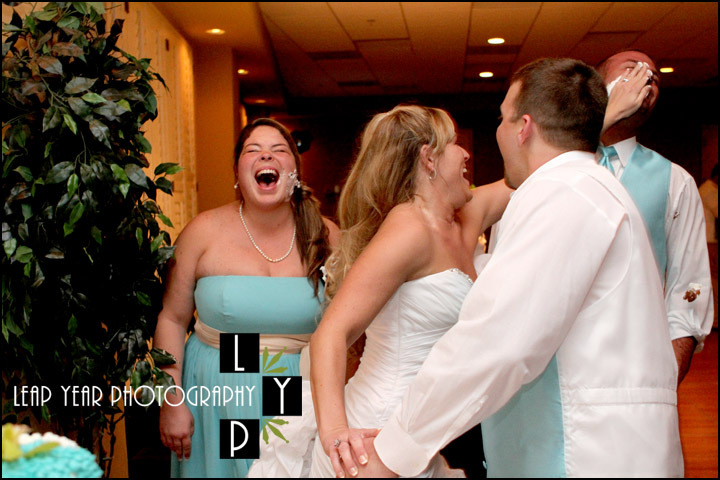 Many brides have the initial impression that it is literally about getting a photo of “trashing” the dress. The reality is that it’s whatever the Bride and/or Groom want it to be. The only requirements are you, your photographer and the wedding apparel. The location can be at the beach, downtown in a more urban setting or wherever you like. And lastly, no, you don’t even have to get the wedding dress dirty or wet! Just like all of our Photography at Leap Year Photography, this type of photo session is all about what, you, the client wants as the final image. 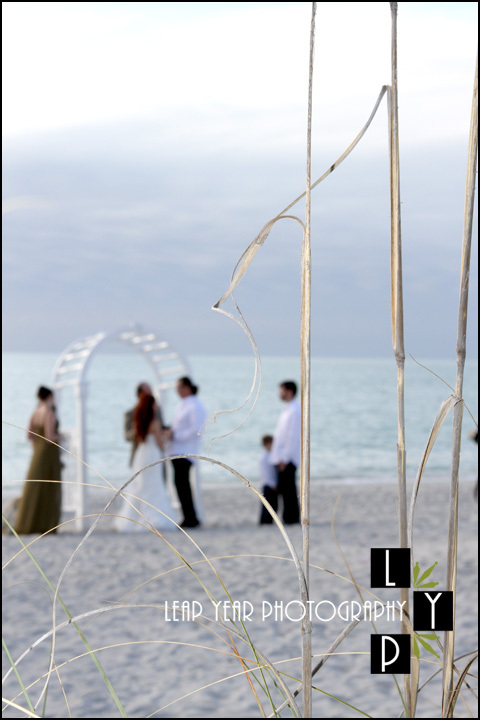 Are you planing a destination wedding in South Florida? 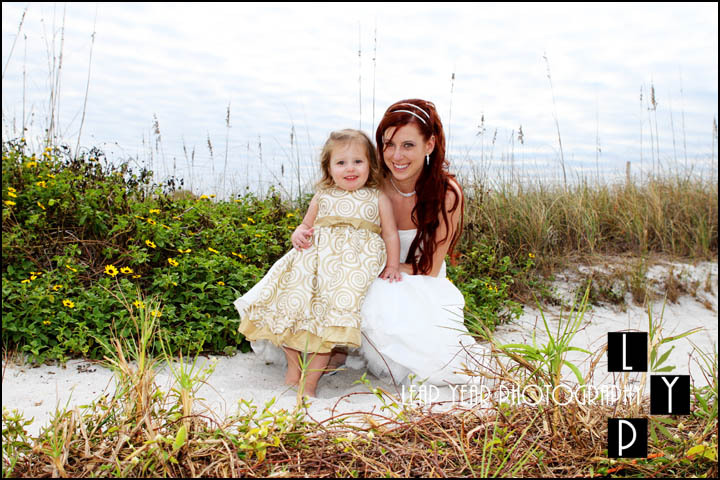 Have you been thinking about a Rock the Frock or Trash the Dress (TTD) photo shoot? 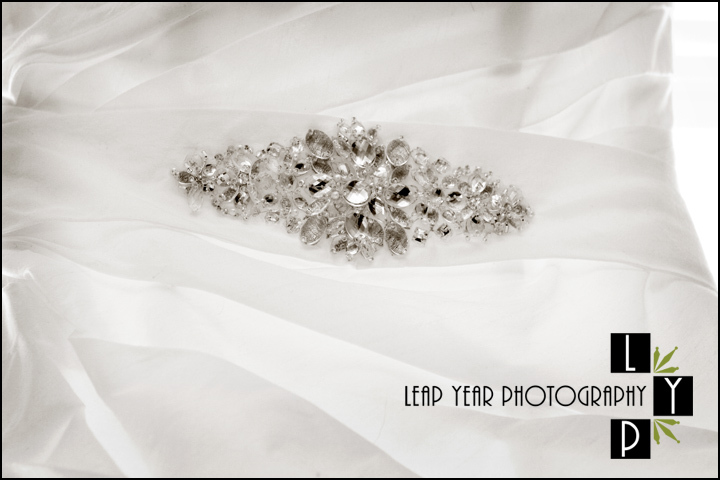 If so, contact Erin of Leap Year Photography to capture your day in style! 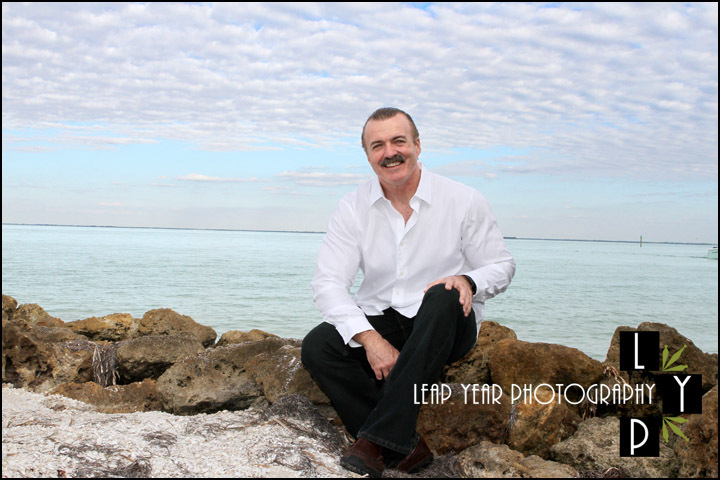 Erin provides professional photography in South Florida. 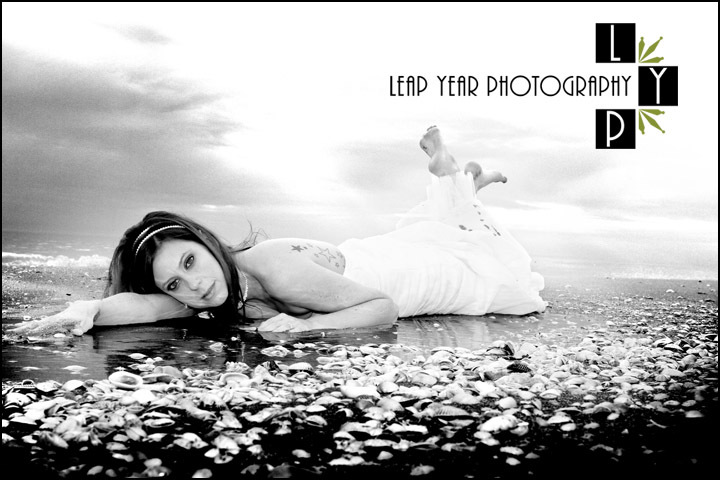 Leap Year Photography is located at 4600 Summerlin Rd Suite C2 #580, Fort Myers, Florida 33919.